We pride ourselves in having the finest line of specialty chemicals available in order to maintain crystal clear water. 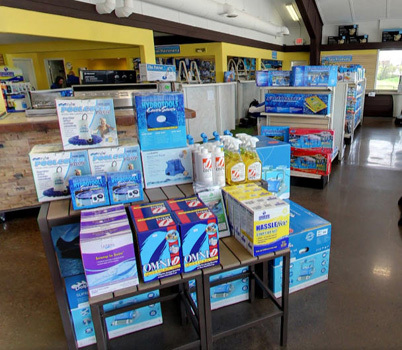 Our staff regularly researches the newest products and advances in water treatment. This allows us to have a quality assortment of natural chemicals, stain removers and enzyme treatments. At Beninati Pools, we consider no issue untreatable!